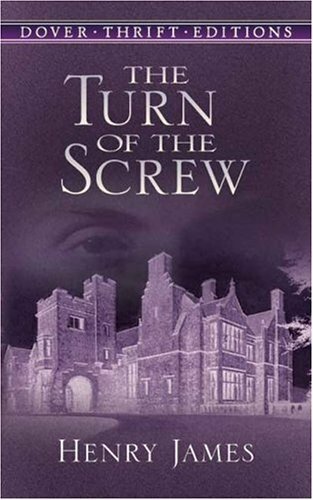 Henry James’s The Turn of the Screw is a classic ghost story in Gothic literature, known for its psychologically and sexually charged themes and content. Originally published in 1898, it has lent itself to different layers of interpretation, often mutually exclusive, including those of a Freudian nature. The novel seems destined, like Hamlet, to supply us with an inexhaustible source of critical controversy. The novel relays the story of a young governess, sent to the secluded, mysterious estate of Bly to supervise two young children, Miles and Flora. As she approaches the house, she is plagued by doubts and unease. But once she reaches the house she realizes that her fears are unfounded. The house and its ambience create a “pleasant impression” (James 230) upon the governess. She is greeted at the door by Mrs. Grose and Flora. The little girl Flora, the governess immediately decides, is the most beautiful and charming child she has ever seen – “The little girl who accompanied Mrs. Grose affected me on the spot as a creature too charming not to make it a great fortune to have to do with her…. there could be no uneasiness in a connection with anything so beatific as the radiant image of my little girl” (231). Time and again, she calls her beautiful, describes her blond curls and blue eyes, and compares her sweet serenity to "indeed one of Raphael's holy infants" (232). In part, this emphasis on Flora's seeming angelic nature makes her later corruption, when she is likened to “an old, old woman” (311) all the more disturbing. The governess comes to understand that Miles, her elder brother, is even more remarkable. Mrs. Grose tells her that she “will be carried away by the little gentleman” (232). Ten years old, Miles is presently away at school. Later, when he arrives, the governess meets him at the coach stop and instantly perceives him to be innocent and beautiful, unlike all other children she has known, seeming to have known "nothing in the world but love". She finds “something divine” in little Miles and deems it “impossible to carry a bad name with a greater sweetness of innocence”. She is so much carried away by the innocence and sweetness of the child that she dismisses the charges against him as “grotesque” (239). She finds herself excusing him for any potential mishap because he is too beautiful to misbehave. Yet she also senses a disturbing emptiness in Miles, an impersonality and lack of history, as though he is less than real. Perhaps even it would be nearer the truth to say that – without a word – he himself had cleared it up. He had made the whole charge absurd. My conclusion bloomed there with the real rose-flush of his innocence: he was only too fine and fair for the little horrid unclean school-world, and he had paid a price for it. I reflected acutely that the sense of such individual differences, such superiorities of quality, always, on the part of the majority – which could include even stupid sordid headmasters – turns infallibly to the vindictive (246). The governess's continued comparisons of the children to angels and her observance of their gentleness play into the allegory of a contest between good and evil. As always, every good thing must come to an end at some point of time, and here too the innocent phase saunters to an end as the children’s allegiance to the ghosts becomes obvious. Henry James employs foreshadowing as a device to create and maintain thrill and suspense right through the novel. The governess is plagued by doubts and apprehensions even before she reaches Bly. She remembers it as a “succession of flights and drops, a little see-saw of the right throbs and the wrong” (James 230). The crows which circle over Bly upon her arrival do not bode well for the visit. Crows are carrion-eaters, eaters of dead and decaying flesh, and are a symbol of death. Similarly, the child's cry and footstep the governess believes she has heard inspire a fear that is later fully realized. Even before Miles enters the story, the governess begins to have doubts. The uncertain reason for his dismissal (235), the undisclosed "he" of Mrs. Grose's slip of the tongue (237), and the unknown cause of the previous governess's death (238) all foreshadow greater evils to come. Her fears escalate as she encounters a stranger whom she later learns, to her horror, to be the ghost of Peter Quint, the former valet. She discovers upon re-entering the house that “darkness had quiet closed in” (244). The governess tells Mrs. Grose she finds it strange that the children have never at all mentioned Quint. Mrs. Grose now reveals that Flora does not know that he is dead, but Miles was "great friends" with Quint. Quint liked to play with Miles and was, in the words of Mrs. Grose "much too free" with him and with "every one" (255). She also recalls Miles lying about the hours he had spent with Quint and his denial of knowing anything about Quint and Miss Jessel's relationship. The governess is now convinced that Miles knows the truth. She makes up her mind to stand as a screen between the children and the ghosts. She engages in a watchfulness over them "that might well, had it continued too long, have turned to something like madness" (258). She is saved from that, she says, by encountering proof. The governess receives her first great shock when she comes to realize that the children are not the innocent angels she believed them to be, but damned accomplices in the wicked plans of the ghosts. During the supernatural visitation at the lake, Flora pretends not to see the ghost of Miss Jessel. She even tries to mislead the governess by turning her back to the water (260). The governess understands that the children know “all that we know – and heaven knows what more besides!” (261). She cannot control her emotions as the grim truth dawns upon her: “I don’t save or shield them! It’s far worse than I dreamed. They’re lost!” (265). It has come to her as a surprise that what she initially comprehended as an “inconceivable communion” is in fact a matter of habit for both parties (266). Meanwhile, the governess continues to encounter the ghosts. She concludes that Quint is constantly on the lookout for Miles, and Miss Jessel for Flora. The children, on their part, use their cloak of innocence to mislead the governess and create avenues for meeting the ghosts. On the eleventh night since she last saw Quint, the governess goes to bed on time but wakes up suddenly at one o'clock. The candle she had left burning has been blown out, presumably by Flora. She finds Flora hiding behind the curtain and peering out into the darkness. The governess is convinced that Flora stands “face to face with the apparition” (278). On further examination, she finds Miles looking at a window above her, obviously communicating with Quint in a trance. Later Miles explains it as part of a scheme to show her that he can be “bad” (283). Though the governess has already assumed them to be conniving and deceptive, this is the first instance in which the children exhibit unambiguous deceit. The governess is terribly disappointed as she learns that the children and the ghosts “perpetually meet” (284). She realizes that their “more than earthly beauty” and “their absolutely unnatural goodness” are “a policy and a fraud” (285). The governess proclaims that the ghosts can destroy the children – that right now they are watching and tempting but that the children will ultimately go to them and be killed – unless the governess and Mrs. Grose can stop them. She fears that the children see things that are denied to her senses: “my eyes might be sealed just while theirs were most opened” (289). without a convulsion of her small pink face, not even feign to glance in the direction of the prodigy I announced, but only, instead of that, turn[ed] at me an expression of hard still gravity, an expression absolutely new and unprecedented and that appeared to read and accuse and judge me—this was a stroke that somehow converted the little girl herself into a figure portentous (315). Instead of looking to see at what the governess is pointing out, Flora turns on the governess, hysterical at her accusations, full of fear that Miss Jessel's existence will be revealed. At this point Flora is not the innocent, child of "angelic beauty" (231) the governess had first perceived but instead "an old, old woman" (311), possessed by the spirit of her former governess. The next morning Mrs. Grose reports that she has heard the child speaking “horrors” (322). Towards the end, Miles admits, "of course we've the others” (328) hinting that he is aware of the presence of the ghosts. His actions at school, the reason for his expulsion, which he later reveals was because he "said things... [to] those he liked" (334-335), suggests again that his words were too adult for the school's setting. Evidently, adult intelligence has played a vital role in corrupting the children. Like all good things, all bad things too must come to an end; as the innocence-lost-phase comes to an end, what remains to be seen is whether the governess can in fact ward off the ghosts and redeem the children. We now meet the governess trying to extract a confession out of Miles. Mrs. Grose has taken Flora, who is seriously ill after the episode at the lake, to her uncle in Harley Street. Thus Miles and the governess are alone at Bly, except for the servants. As she did with Flora, the governess assumes that Miles possesses adult intelligence. Adult intelligence is in fact the hallmark of the post-innocence phase as worked out in the novel. Miles stands near the window, facing outside, as the governess takes a seat on the couch readying herself for some terror. Gradually, she realizes that Miles must be looking for something he cannot see - he must somehow be barred from seeing Quint as she has been in the past - and she takes it in “with a throb of hope” (James 329). 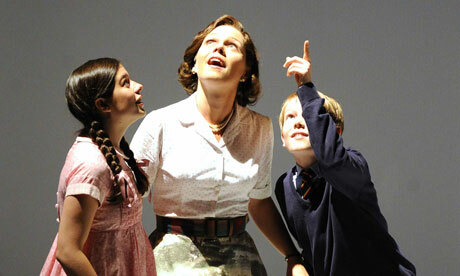 The governess suddenly notices Peter Quint standing outside the window. She grasps Miles and holds him with his back to the window. Immediately, the governess decides that she can and will fight with Quint for Miles's soul (332). And finally Miles confesses that he took the letter. She is overjoyed to hear that, for she knows that the moment Miles confesses, he is saved (324). He also tells her everything that he knows about what led to his dismissal from the school. He says that he “said things” to those he liked. 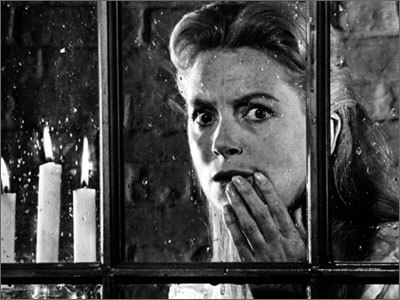 Just then Miles moves and Quint, “the hideous author of our woe”, appears again behind the window (336). Challenged by the governess, Miles finally blurts out “Peter Quint, you devil!”. Thus he acknowledges his awareness of the ghost; his confession is almost complete and he will be saved. The governess rejoices: “I have you [Miles]… but he [Quint] has lost you forever”. However, the next instant Miles falls dead uttering the cry of a creature hurled over an abyss: “his little heart, dispossessed, had stopped” (337). The fact that his heart is “dispossessed” suggests that he is saved. Miles has been too corrupted to live without evil – like the beautiful wife in Hawthorne’s “The Birthmark,” whose husband, a surgeon, removed the one blemish to her perfect beauty, only to find that it was embedded in her heart – and hence, when his heart is dispossessed, he dies. The governess’s enthusiasm in extracting a confession from Miles is what saves him. “If he confesses,” she says, “he’s saved” (324). The ghost is very well aware of the fact and it does all in its power “to blight his confession and stay his answer” (336). The novel tells us nothing about what happens to Flora other than that she has been taken to her uncle at Harley Street to “dissipate the influence” (327). However there are enough textual evidences to conclude that she will be damned. In the first place, there comes a stage when both parties – Miles and Flora on one side and the governess on the other – realize that masks are useless. It is that point in the novel when between Miles and the governess, “it’s now all out” (300), and Flora realizes that “pretexts [are] useless now” (313). This then is the moment of reckoning; the children have the freedom to choose their future course of action; it is up to them to decide whether they want to be saved. The children, who until this moment have been united in mind and body, choose opposite routes. Miles decides to confess his sins; as the governess realizes, “since last evening, a new hope…. He wants to give me an opening…. he wants to speak”(313). What torments the mind of Miles is “precisely the need of confession” (324). He tells her: “I’ll tell you everything” (331). Miles confesses, and he is saved. Flora, on the other hand, goes downhill. She refuses to admit her faults. Consequently, “her incomparable childish beauty” fails and she turns “common and almost ugly” (316). Later, she falls ill and passes the night in extreme unrest. Rather than confess she tries to get rid of the governess – potentially, the only person who is likely to save her. We get further proof of her moral disintegration in Mrs. Grose’s revelation that she has heard Flora speaking “horrors” the previous night. Shell-shocked, Mrs. Grose says, “Really shocking… it’s beyond everything, for a young lady; and I can’t think wherever she must have picked up—” (322). Obviously Flora is lost. Irony thus masterminds the post-innocence-phase in the novel. Miles, who is saved, is no more. The moment of his redemption is the moment of his death. is it relation to Lord of Flies?